It’s time to replace our Weber grill thermometer. Our Weber Spirit 210 grill is over 4 years old. I have always questioned the accuracy of the stock hood thermometer. It always appeared to be a little more accurate than other stock thermometers but I wasn’t quite sure. So I figured it was time to replace it. 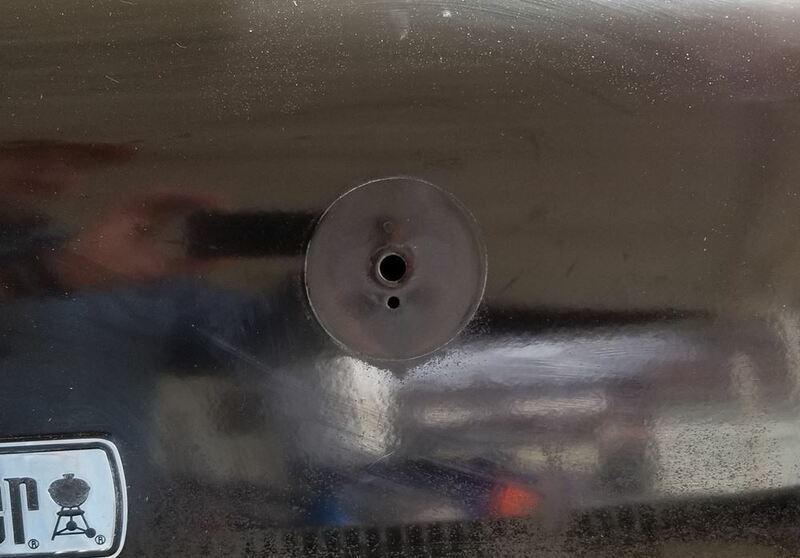 Before we can replace Weber grill thermometer the first step is to find a suitable drop in replacement. Luckily the Tel-Tru BQ100 is a great fit, the 1.75 inch dial is just a hair small but it is not very noticeable when sitting in the bezel. Tel-Tru thermometers are known for there accuracy and this one has a longer stem than the stock Weber which should also help the accuracy. 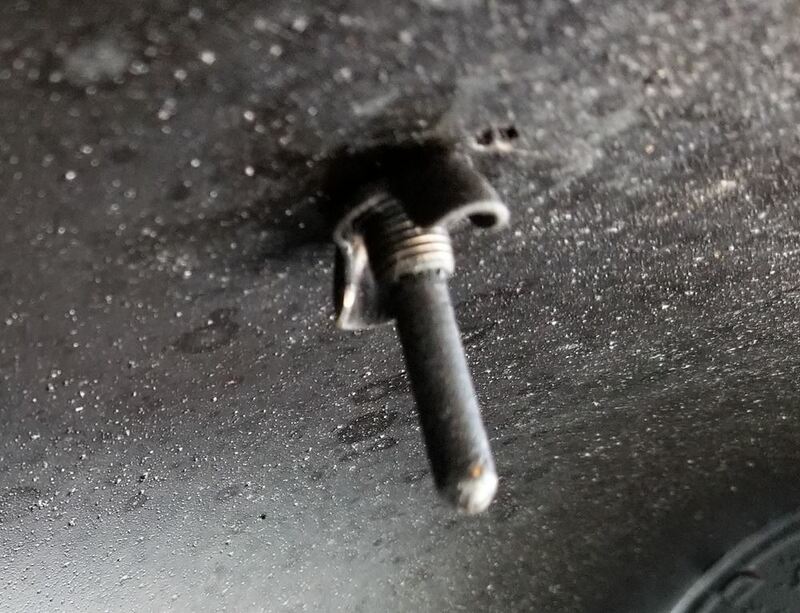 First lift the lid and locate the wingnut on the back of the thermometer inside the hood. Take the palm of your left hand and place a little pressure on the dial face. Loosen the wingnut with your right hand until it slides off the rest of the way. 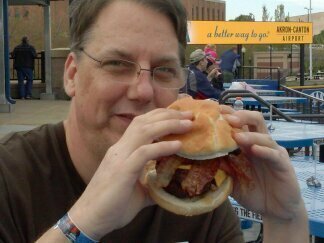 With smaller grills it is easier to do this from the rear. Gently push the thermometer stem from the inside with one hand and remove it from the hood with the other. The bezel (this is the piece that holds the thermometer flush with the hood) will come off with it or it may not. If the bezel is stuck in place you can just leave it there. There is really no need to remove it. If it does come off we do suggest cleaning behind it. Both our thermometer and bezel have little metal tabs that hold them in place to keep them from spinning. Our replacement does not have that tab. This really won’t be an issue as long as it doesn’t get knocked around. To replace Weber grill thermometer. We first align the bezel so that the tab lines up in it’s hole. It is easier to do this with the lid down. Just slide our new thermometer into place and adjust it so that it is straight up and down and open the lid. Just like we did when we removed it. Place slight pressure on the dial face with one hand. While tightening the wingnut with your other hand. The nut just needs to be snug. No need to crank down on it. The end result is a quick and easy upgrade over the original thermometer. Which as it turns out was very accurate on the low end readings. But, not even close on the high end readings. 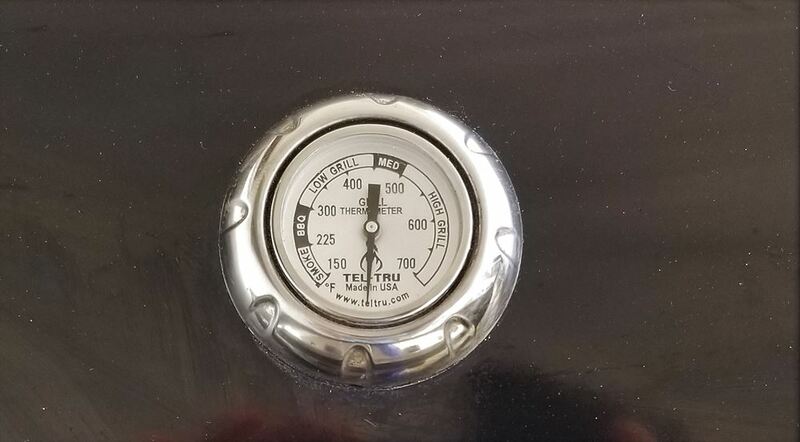 The Tel-Tru thermometer that we used appears to fit most current Weber grill models but please check the size of your dial before purchasing. 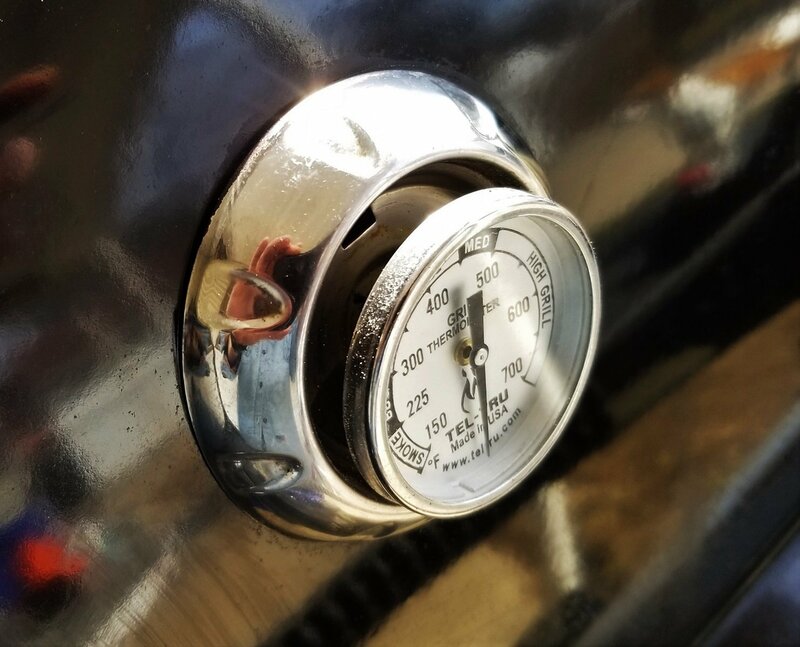 There are many variations of the stock Weber thermometers but the dial face seems to be a consentient size for most. There appears to be a larger 2 3/8 dial available as well. 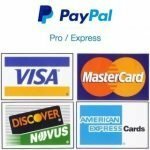 You can purchase a replacement bezel if need be. We do not suggest not using one, it helps protect your thermometer. 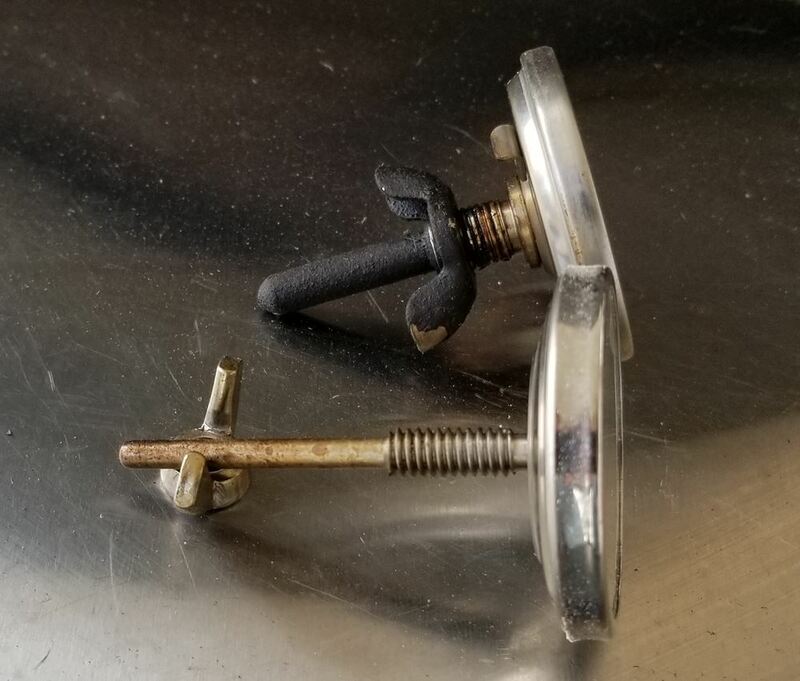 To replace the Weber grill thermometer, first lift the lid and locate the wingnut on the back of the thermometer inside the hood. Take the palm of your left hand and place a little pressure on the dial face while loosening the wingnut.